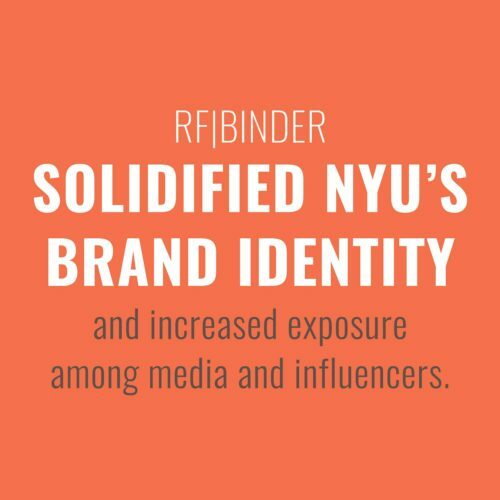 When NYU Stern School of Business reached out to RF|Binder in 2007, the school had not been receiving the national credibility and prestige it deserved. 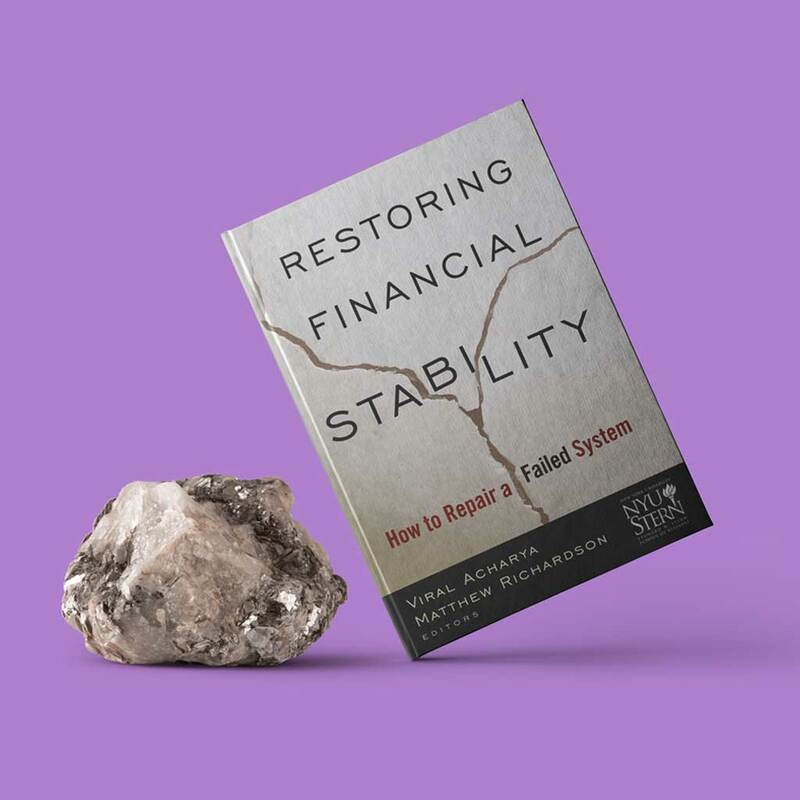 While NYU Stern was ranked among the top business schools and known in academic circles as having one of the strongest finance departments, other areas of its academic strength were not widely recognized. 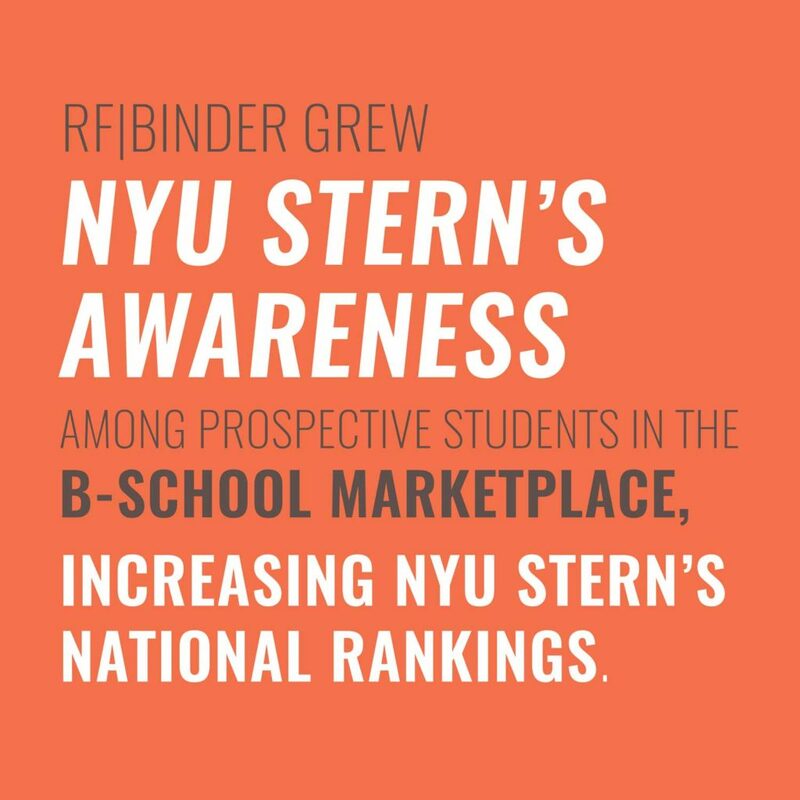 RF|Binder saw the opportunity for NYU to leverage their extensive knowledge base in a crowded national conversation, and establish Stern as a leading voice on business education as well as a range of business issues. 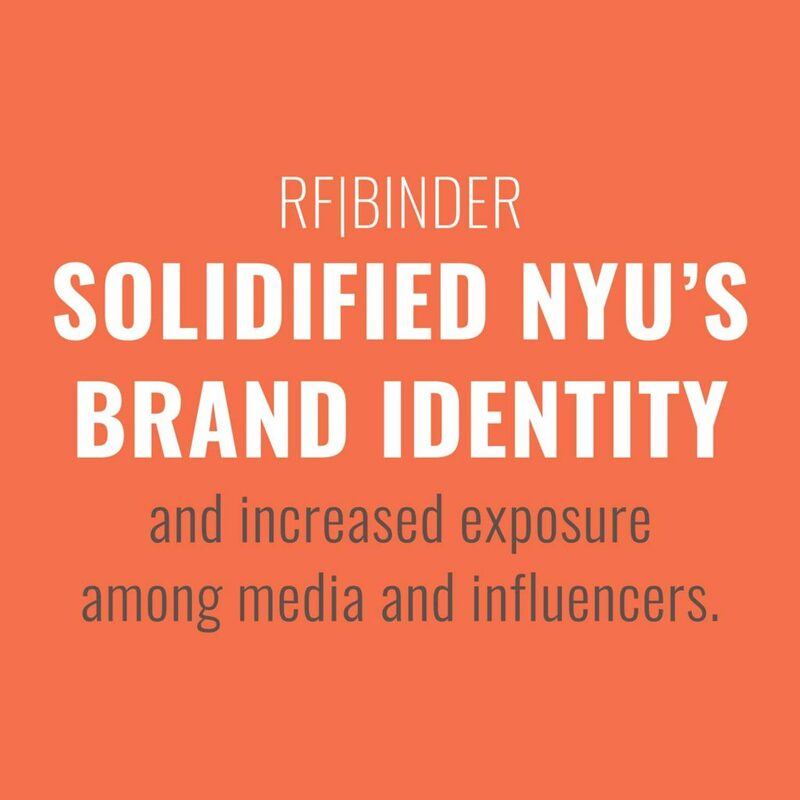 Working closely with the Dean, Thomas F. Cooley, RF|Binder developed a program that honed in on emerging issues in business across finance, management, and marketing to solidify NYU’s brand identity and increase exposure among media and influencers. To improve Stern’s position as a leading business school, we designed a program that offered Dean Tom Cooley and faculty to the media as experts on a wide range of disciplines and sectors. In addition, after the financial crisis the team supported the launch of two books written by Dean Cooley, Regulating Wall Street: The Dodd-Frank Act and the New Architecture of Global Finance, and Restoring Financial Stability, by getting both books into the hands of congress, staff and the media. Building on this initiative, we launched an outreach effort that included high-profile events developed with media partners that honed in on NYU Stern’s understanding of and leadership on the most pressing business issues facing this country and the business community. 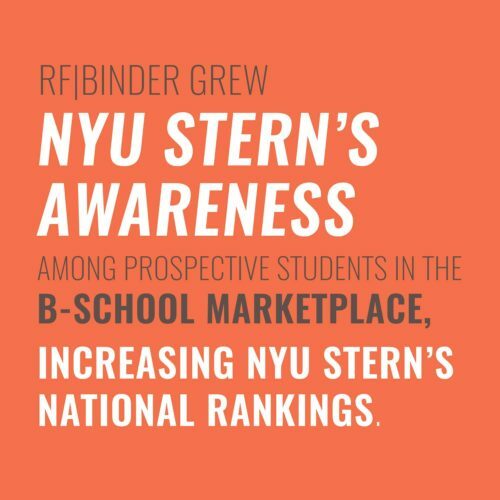 For nine years, RF|Binder’s efforts have grown NYU Stern’s overall awareness among prospective students in the B-school marketplace, and the school’s national rankings have increased as a result. 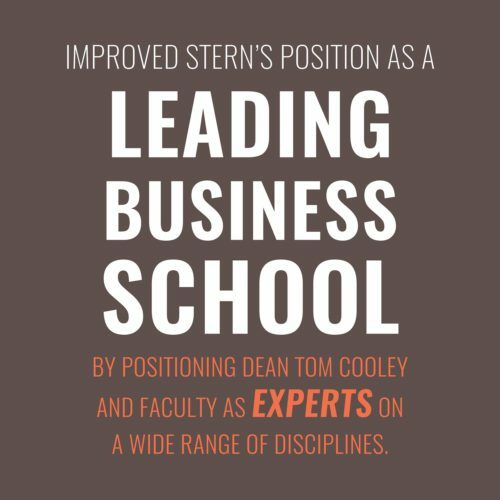 Stern’s professors now regularly interact with top media outlets, sharing insights into today’s most pressing issues and tomorrows trends.On average, Stern faculty participate in five media meetings per week and are included in more than 60 top-tier media placements each year, including dozens of op-eds in leading business publications.